At his retirement Bishop Dominic Walker said, “It’s interesting that people exploring ‘new monasticism’ are finding ways of forming new communities drawing on ancient traditions and discovering the riches of the Benedictine rule and Benedictine principles about what forms a community …”. We are looking at our Benedictine roots and exploring ways in which we can create a new monastic community of young people on gap year. 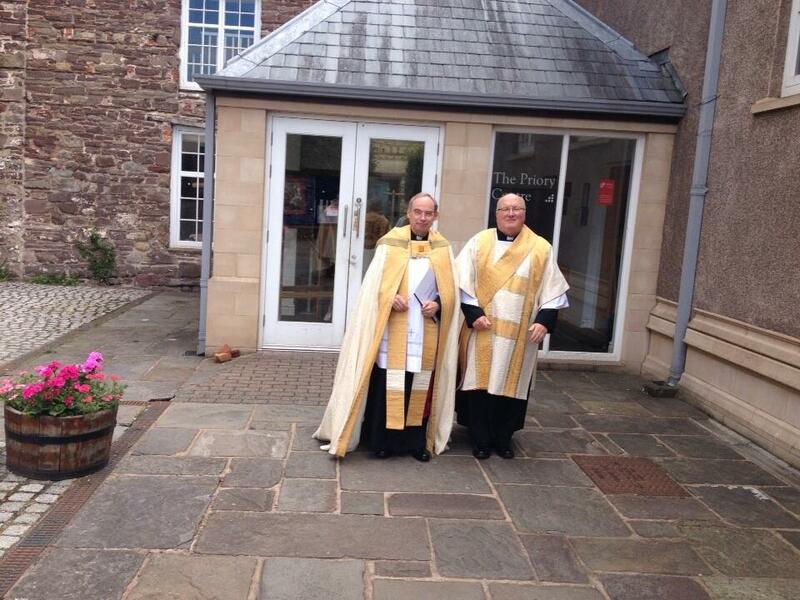 The Community will be overseen by a Priest, who will also act as Associate Vicar of Abergavenny. The Community will do a lot of its outreach work in North Abergavenny, a recent End Child Poverty reported showed that this area has been found to have the highest figures of expected child poverty in Monmouthshire, with 36% of children in Lansdown and 22% of children living in Croesonen being under the level of acceptable income. If you are interested in applying for the post of Pioneer Priest please email vicar@stmarys-priory.org for an application form and further details. Applications close September 27th, 2013. 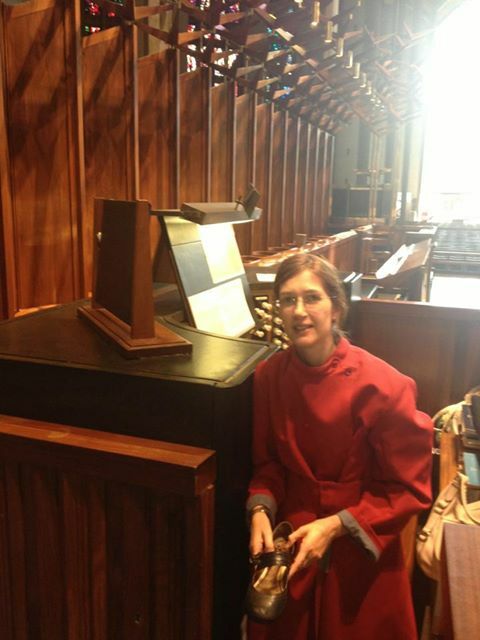 Impromptu Musical items will be performed in church during the Festival of Flowers, November 21st – 26th. The Assumption or Dormition of the Blessed Virgin mary will be marked on Thursday with a celebration of the Holy Eucharist at 18.00hrs. 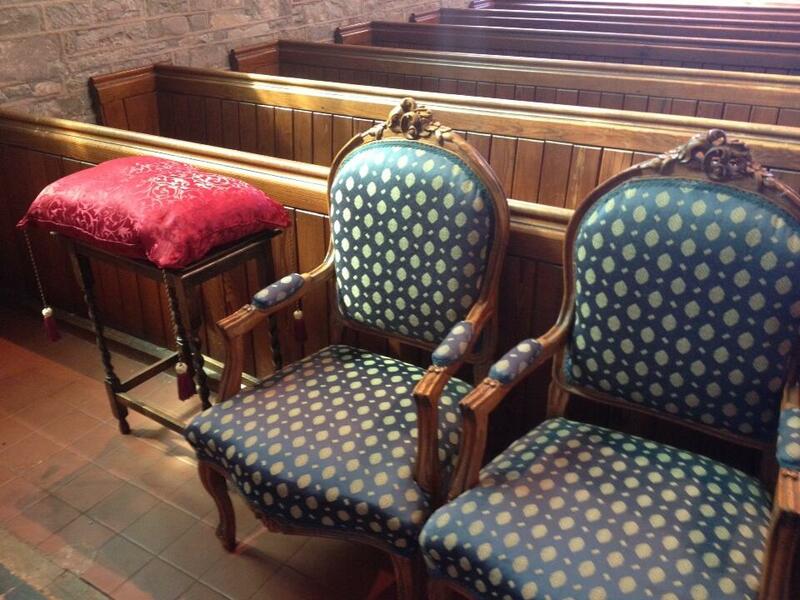 The following Sunday (August 18th) there will be a Patronal Lunch after the 11am Service. The remarkable summer being experienced by the Archdeacon of Monmouth has continued with a wedding with a Norwegian flavour in Abergavenny. Three weeks after being elected as the next Bishop of Monmouth, the Venerable Richard Pain presided at the wedding of his son Jonathan to fiancée Maria Ronessen, a research technician from Norway. 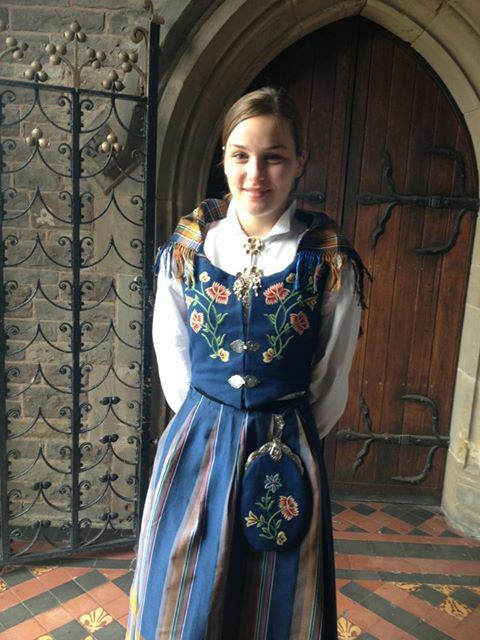 The wedding, at St Mary’s Priory Church in Abergavenny, had a distinct Norwegian flavour as many of Miss Ronessen’s family wore national costume to the service. 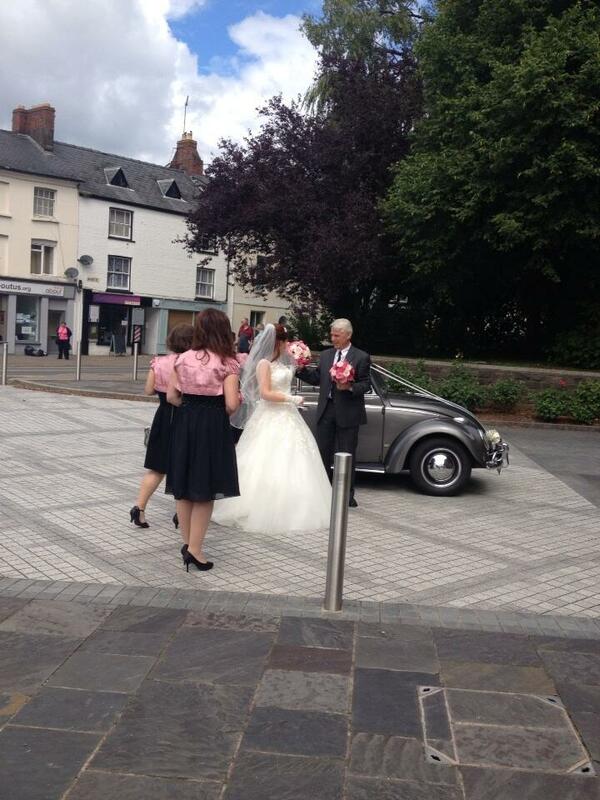 Jonathan Pain, 29, a financial services consultant, and Miss Ronessen live in Caldicot but chose to marry in the 1,000-year-old St Mary’s Priory Church in Abergavenny as the Ven Pain and wife Julie have lived in the town since he was appointed Archdeacon. The service, which took place on Monday, August 12, was conducted jointly by the Ven Richard Pain and the Revd Mark Soady, Vicar of Abergavenny, with St Mary’s Church Choir, fresh from a week as choir in residence of Coventry Cathedral, singing Jesu, Joy of Man’s Desiring before the service and pieces by John Rutter during the signing of the register. The Ven R Pain will be consecrated as a Bishop at Llandaff Cathedral on September 21, his 57th birthday, and Enrthoned as Bishop of Monmouth in Newport Cathedral on October 18. 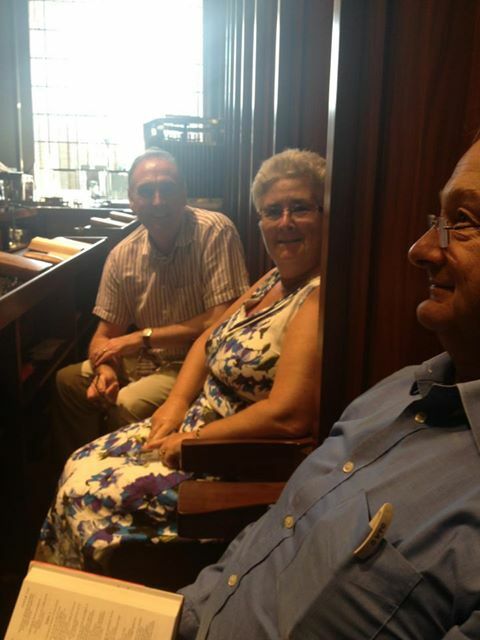 St Mary’s Priory Church Choir were the Choir-in-residence at Coventry Cathedral from August 7th -11th. 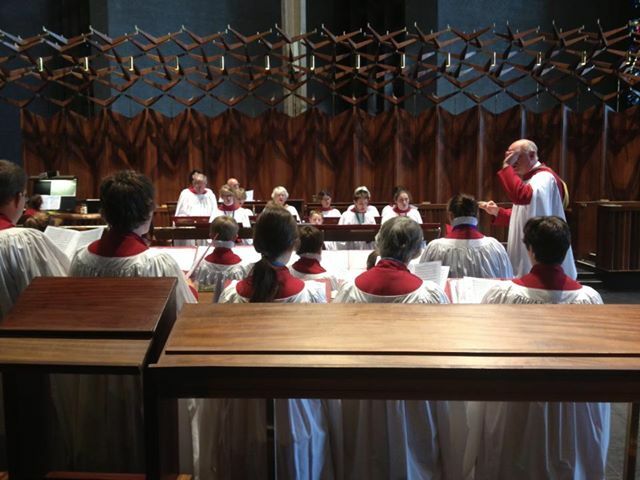 Singing Evensong on Wednesday – Saturday Evening and all Sunday’s services. It was not all work there was plenty of down time , even though the hour long que meant a visit to Warwick Castle had to be canceled. 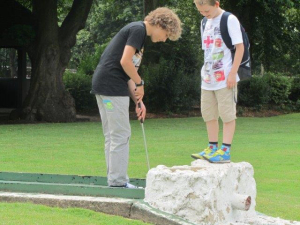 Saturday saw a great time had by all at the Coventry Motor Museum- and then there was crazy golf. 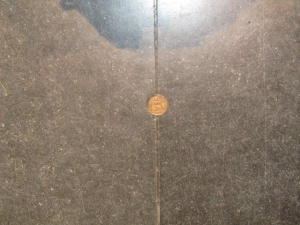 To help the choristers find their way around helpfully a line of 1p coins was laid in the floor to mark the processional way.